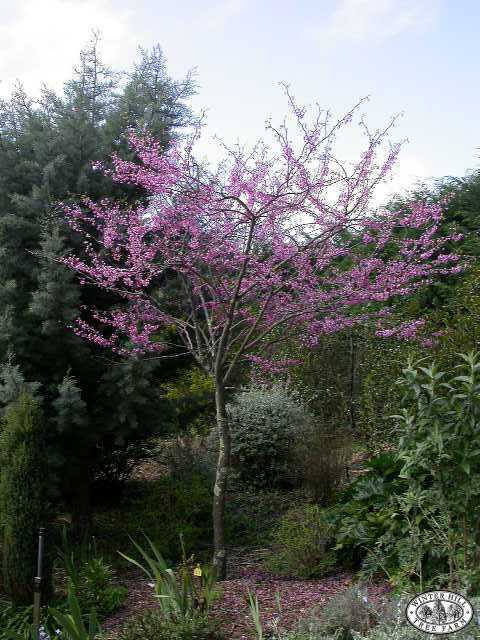 Slow growing, deciduous small tree with broad round head. 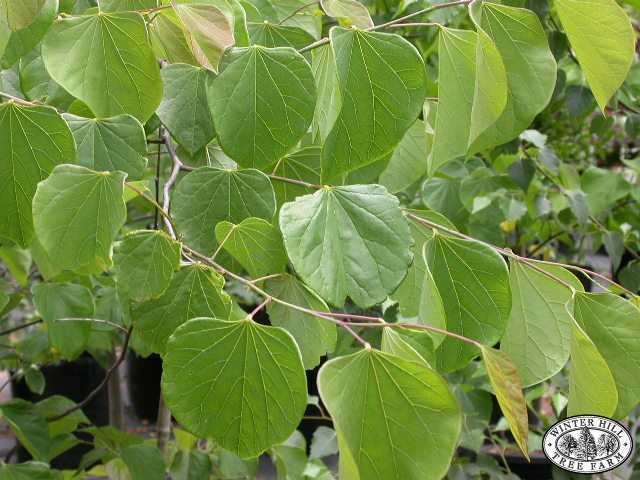 Heart shaped leaves are bright green. 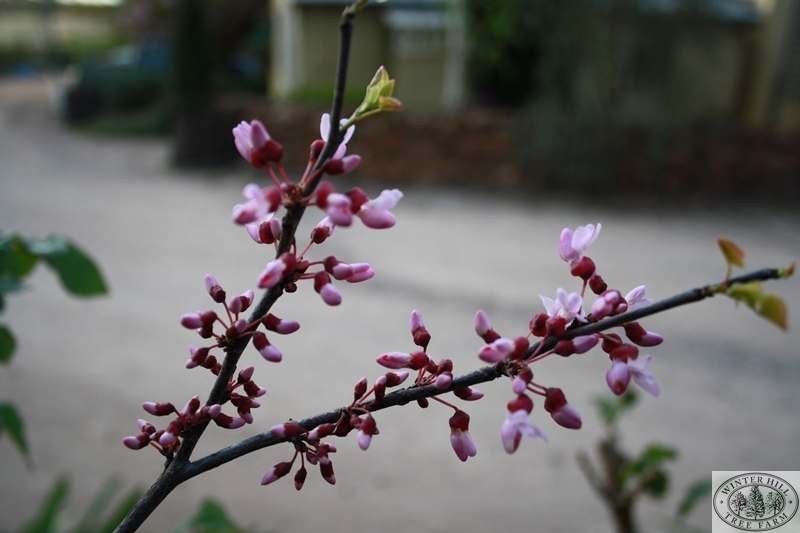 Has pale rose pink flowers in spring appearing before the leaves.